Besides running fast, what can you do outside the track to run faster? What do you need to do in the weightroom to translate your strength training into speed on the track? What do you need to watch out for? 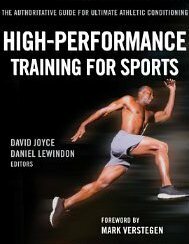 In the book, High-Performance Training for Sports by David Joyce & Daniel Lewindon, Derek Hansen wrote Chapter 11 on “Successfully Translating Strength to Speed”. 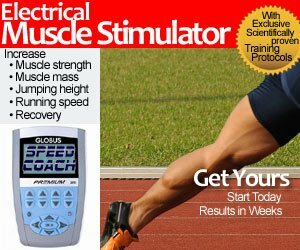 Derek and I have a joint site, www.strengthpowerspeed.com where we sell our exclusive videos and popular Globus SpeedCoach EMS units. All of our conferences are hosted on that site as well. In the Mike Boyle podcast, Derek went over determining requirements for speed development, including Postural Integrity, Limb Mechanics, Strength, Relaxation, Acceleration Abilities and Elastic Qualities, as well as Integration of Speed Training Elements. Like most Podcasts, there’s a lot of intro and sponsors, so you can fast forward to Derek’s podcast at the 36:26 mark. You can go to the THE STRENGTH COACH PODCAST page, The Official Podcast of StrengthCoach.com, or simply use the MP3 player below. READ Move over Matt Bogdanowicz, here comes Alicia Weber!